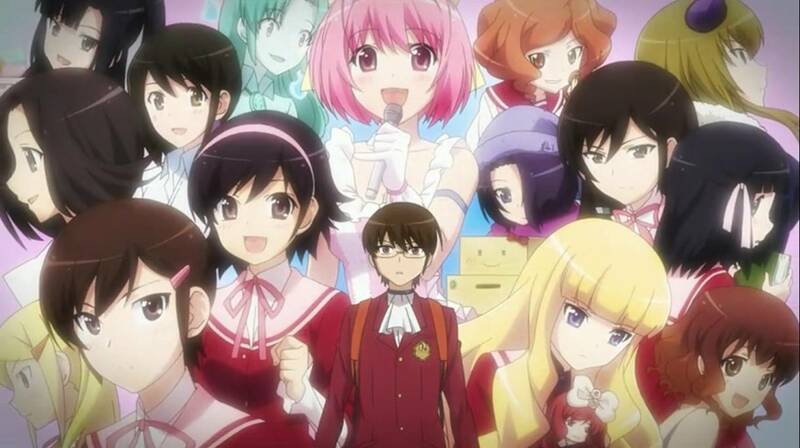 Now here is one of my most favorite series, The World God Only Knows. I get pretty hooked into the series at first because of its comedy. 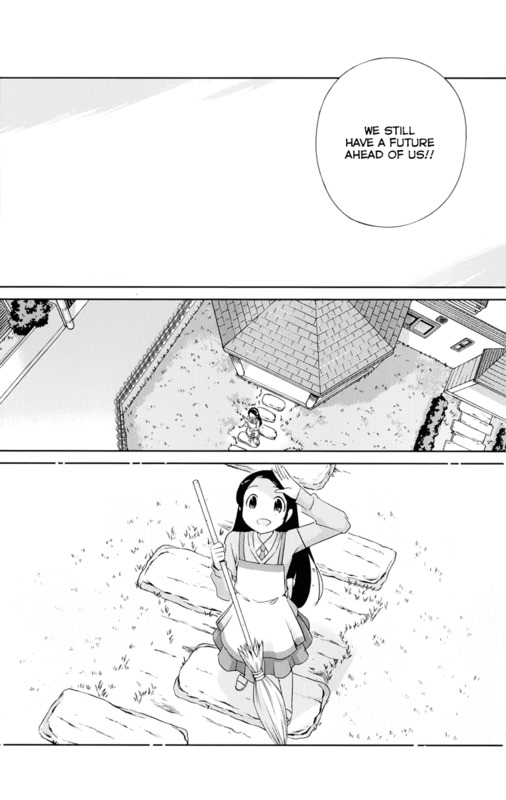 The chibi scene of the manga where Elsie swinging her hand up and down is just too cute. The harem tag of The World God Only Knows made many ships sailings for this series. And by how the series end, Keima choosed Chihiro as his ending just make all the other ships become clashing to Chihiro ship. For me the ending is just fine. It's no matter which ship you are in, is it the Tenri ship, Kanon ship, Ayumi ship, or the other can't change the fact that Keima has his own flavor. This story is about Keima, a boy who not accept reality but still he's fight his best in it. So yelling to the author because your ship is not ahead of the other just won't change the personality of Keima and his choices. 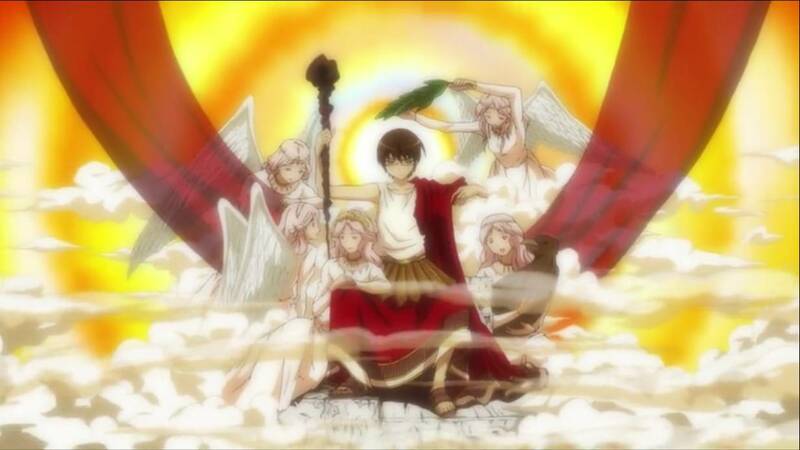 Keima, the God of game world. LOL. Aside The World God Only Knows is full of comedy, but it does had a good work in tearjerker job. There are many scenes that made will make you heartbreak. For me, the Chihiro part on the last of Goddesses arc is the most heartbreaking moment in The World God Only Knows history. Where the hell is Keima's father!!! "Don't worry kids, I will raise you two by myself without your backgroung-character father." I know, I know The World God Only Knows is one of a masterpiece to me, just at least before the series end SHOW THE FACE OF THAT KEIMA'S FATHER!!!! I often foreshadowed that Keima's father is should at least have important past related to hell or devil. It would be a great addition to the story if just the author decide to built Keima's father story, because he was a mysterious character right at the start of the manga. Like Keima's father was actually a former buddy of a devil and Keima's mother was a girl with evil spirit he conquered, or that the evil spirit that hides in her mother was about to reach a step to being reborn as Keima but failed so Keima has a devil blood (that will explain why Keima is a freaking genius, I mean he always get 100 in exams just by analyzing the teacher habits & personality). It's just to waste to threw Keima's father as a development I think. Moreover to looked back at the last arc, time travel arc when Keima doing stupid 'matches' with elementary kids is just too full of the 'filler feels'. "We still have a future ahead of us." For me The World God Only Knows reached the Open Ending. With everything leaved unanswered, and the final quotes of Diana (Tenri's angels) to Tenri: "Everyone is thinking, worrying, as they walking amongst certain path…. Look over the sky, there are still future waiting ahead of us. -Fin-." Open Ending that opened too widely. Leave us with many unanswered questions and leave all the ships sailing without direction. I personally like Chihiro ending, but at least maybe the other girl with goddesses deserve a better way in the ending. Like the Goddesses maybe had to leave the girls hosts and the girls will lose all their memories related to Angels, devils, and hell would be a better way to finish The World God Only Knows history. 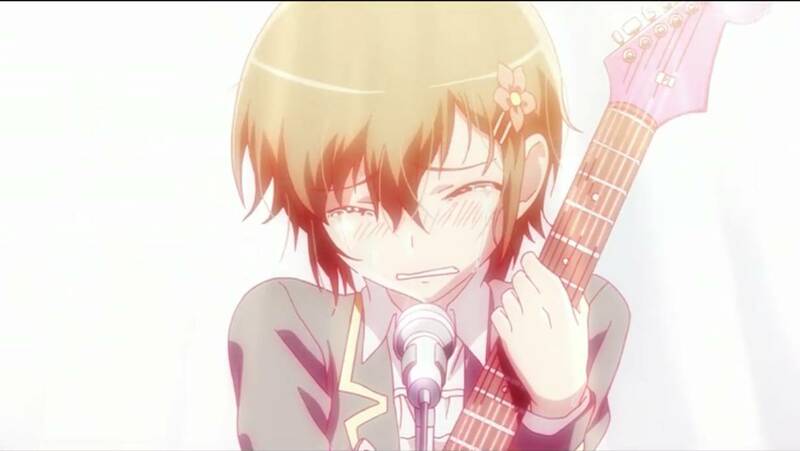 That's will leave only Keima and Chihiro as the true ending then. Comments (0) in "The World God Only Knows: Impression and Opinion [Spoilers]"